Today we took a day off from the action (well, almost, see below 😉 and went to the pool the first thing in the morning. 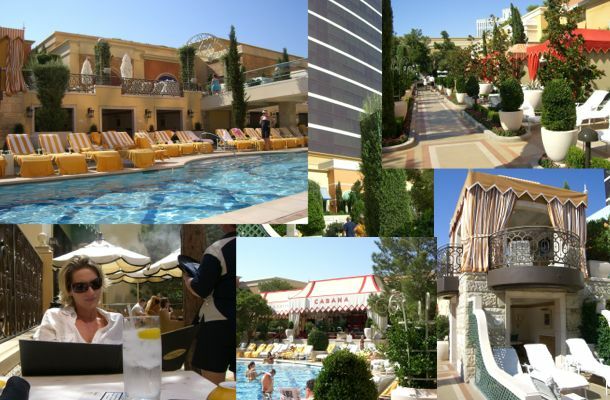 That Wynn poolside is amazing nice, really well done and stunning. Nice atmosphere, superb pool, everything as good as it can be. After a few hours there we stayed in the room for several hours, enjoying the flatscreen HD tv programs, some sleep and ourselves. Finally we got hungry for some action, went down to the casino and played some table games and some 15/30 limit holdem. Lost in both. Not much but still, no turnaround yet in sight. 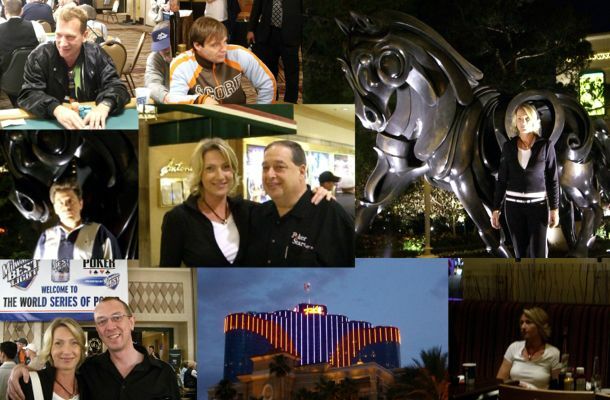 We then decided to head over to the Rio’s to look out for Michael Keiner and Andy Krause who whe knewed would arrive that day and we were both sure they would go straight into the action from the airplane – degenerate’s like us! We were right, me found both of them right in Omaha satellite. After catching up with them we went to meet Rich Korbin, director of Pokerstars marketing for the US and WSOP braclet holder himself. After all things cleared out we had some dinner at the Rio’s but we did not liked it to much. Upon returning to the Wynn some more (small bet) black jack action, to tired to sit down at poker, losing again, lol, going to sleep. Next WSOP event: $1500 seven-card stud on Wednesday.